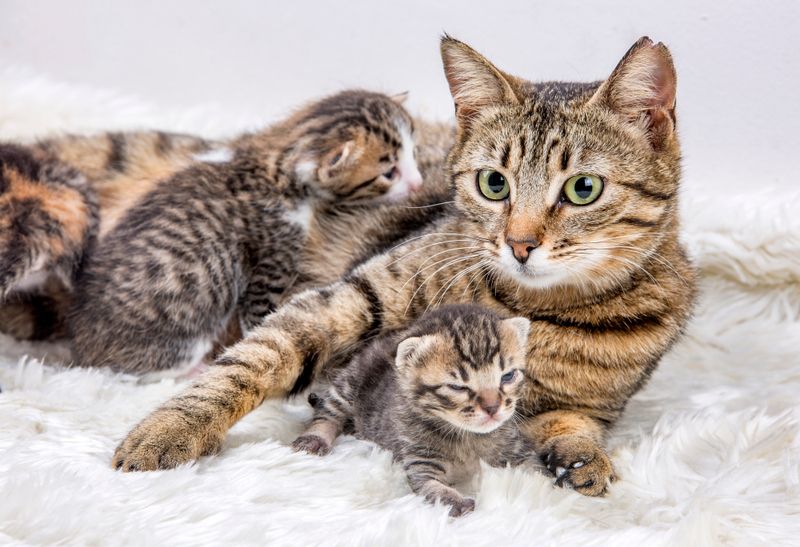 How Often is it Safe for a Cat to Give Birth? How often it is okay for a cat to give birth is debatable. Veterinarians believe that it should mate each second heat—that is, one or two times a year. The clubs stick to a specific mating plan, which may differ from the cat’s mating cycles. You may often hear, “Frequent pregnancies exhaust the cat’s body! She needs rest! Giving birth that often is bad for cats!” Comparing cats to people is fundamentally wrong, though. You must take into account the difference in physiology. Cats do not have periods—a mechanism for cleansing the body from unfertilized eggs—like human women do. Also, a cat in an empty heat suffers, yells, does not eat, loses weight and hair, and does anything but rest. Would you call an exhausted, skinny, shabby, miserable creature “a rested cat”? Finally, empty heats provoke various diseases. Sometimes, an empty heat ruins cat’s health more than giving birth. Some responsible breeders allow their cats to give birth three or four times a year. But at the same time, they carefully monitor their pet’s health. They arrange for regular observation by a veterinarian, diagnostic procedures, special healthy nutrition, and most importantly, a course of regenerative therapy after giving birth—vitaminization of the body. With this approach, the cat is in good physical shape, and the kittens are born strong and healthy. If the cat gives birth difficultly (sometimes with surgical help), and kittens are born weak and with pathology, then of course, the owner should think about castration. How often can a cat give birth? The determining factor is the state of its health. Optimally it is once or twice a year (mating once every two heats). To suppress sexual desire, use only non-hormonal drugs and herbal sedatives. If you see that it is very hard for the cat to be in an empty heat and it has no problems giving birth, then you can allow her to give birth more often. Remember that the cat must fully recover from previous births; give her special food and vitamins—it is best to consult a vet. If the cat gives birth difficultly, feels bad in the postpartum period, the kittens are born weak or with pathology, or the cat is getting old, then castration would be the best solution.